Why Hercules Braided Fishing Line? – At Hercules, Better Value for the Money Your Paid is our motto. Get up to 20% refund within 60 days if you don’t think we’ve made it. Same as other popular brands, Hercules fishing line braided is made from UHMWPE, the world’s strongest fiber, which gives excellent abrasion resistance, knot strength, sensitivity, and tensile strength. 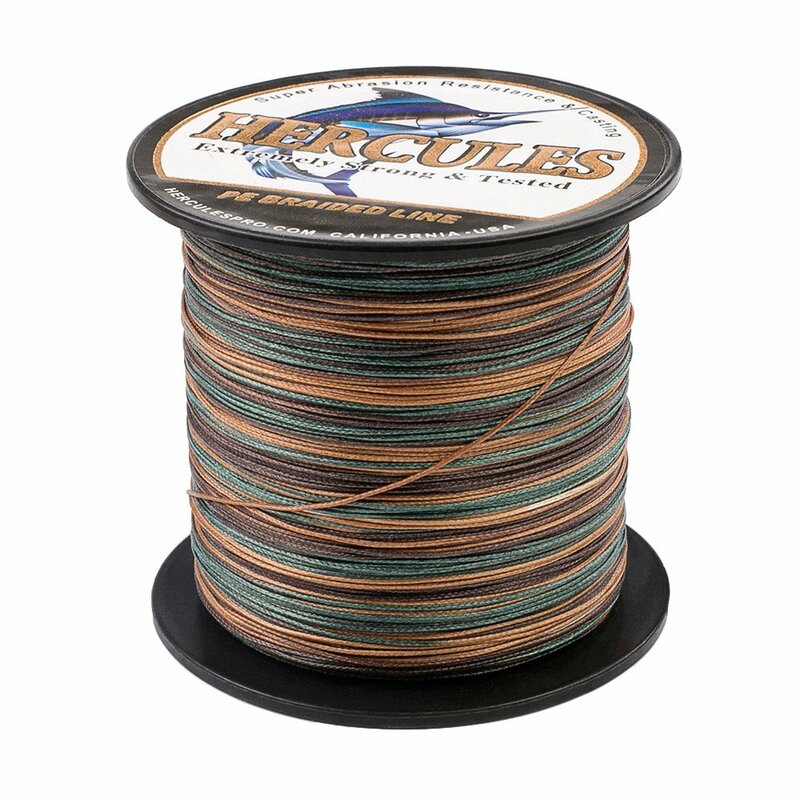 With DIAMOND WEAVE structure, Hercules 8x strands fishing line braid are much smoother and rounder. 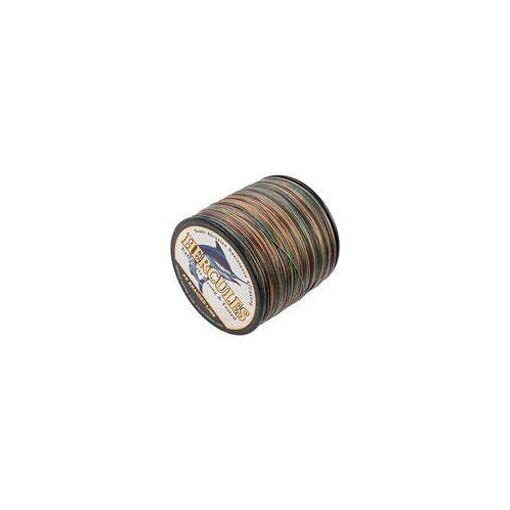 It is the ultra casting fishing line for surf fishing, tossing surface iron or fishing live bait. Just a fraction of other brands’ prices, you’ll get exactly what you. No need to overpay for brand name anymore! 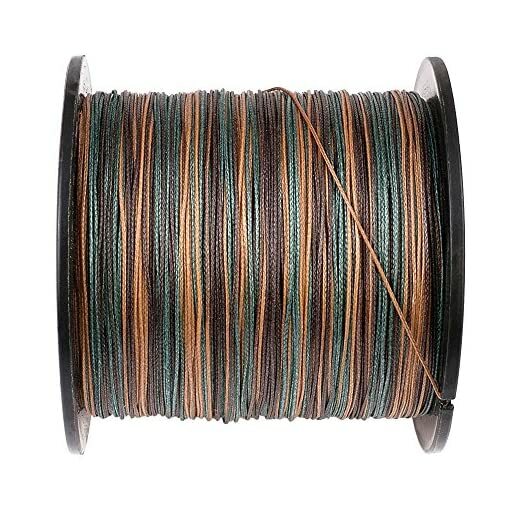 Colors: Green, Army Green, Fluorescent Green, Black, Grey, Yellow, Fluorescent Yellow, Red, Blue, Orange, Pink, White, Camouflage, Blue Camouflage, Multi-color. 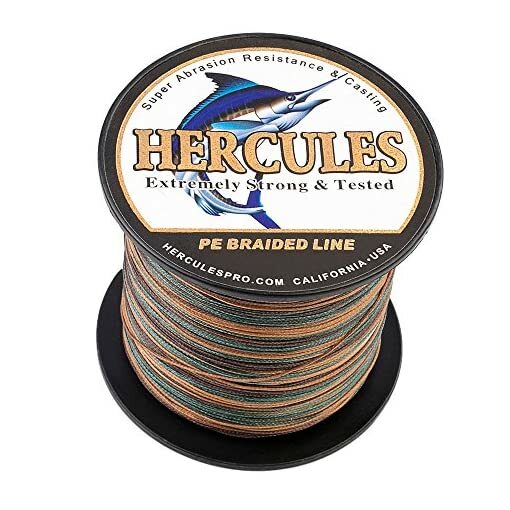 Same Quality, Much Less Expensive – You can’t tell the difference between Hercules braid fish lines and other more expensive brands. – From verified purchase reviews. 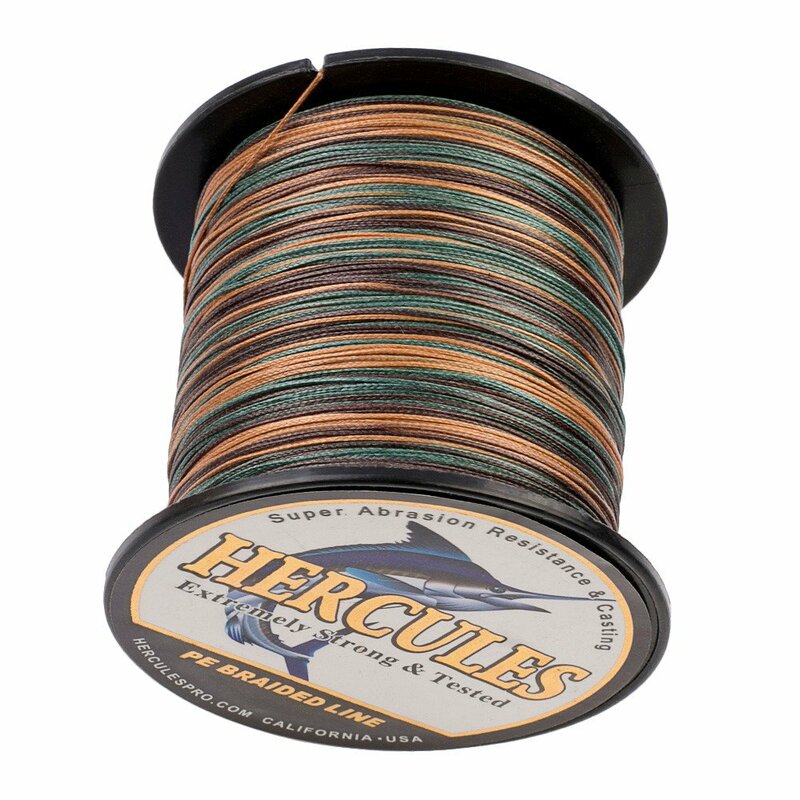 Superior Cast Experience – 8x strand braids with DIAMOND WEAVE structure, smoother and rounder for casting much farther. 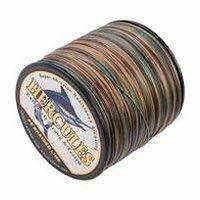 Super thin and slick diameter and low memory, reel capacity is better. 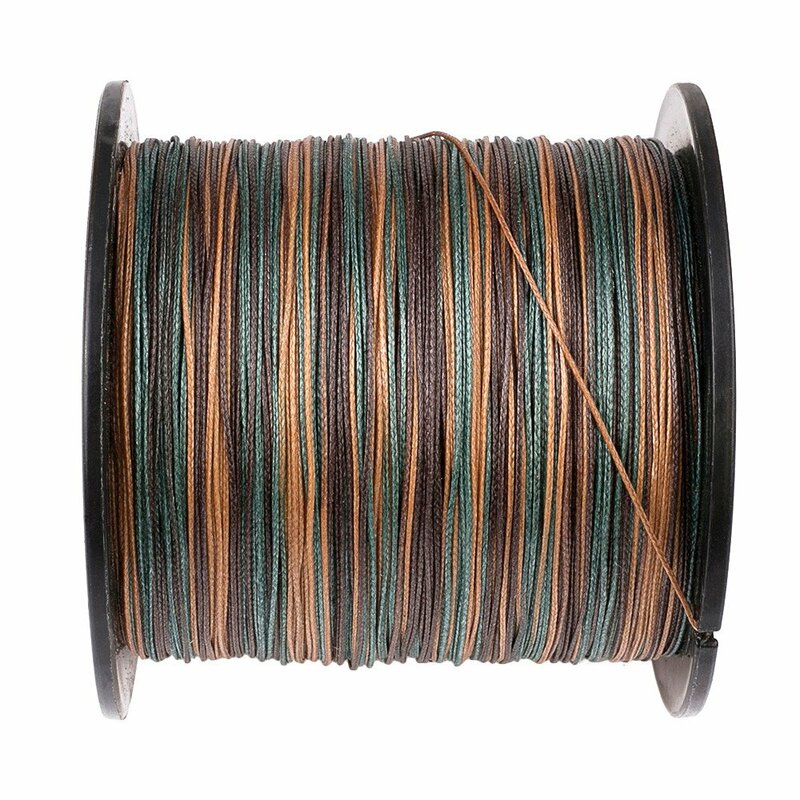 Great Knot Strength & Abrasion Resistance – Made from UHMWPE, the world’s strongest PE fiber, enhanced coating technology for more durable use, killing nightmares of losing the big one. Zero Stretch & Super-high Sensitivity – No stretch, ultimate sensitive to fish bites, best superbraid and superline for surf-casting, tossing surface iron or fishing live bait. Fan-favourite Money Back Guarantee: At Hercules, BETTER VALUE FOR THE MONEY YOU PAID is our motto. Get up to 20% refund within 60 days if you don’t think we’ve made it.